I am pleased to have the opportunity to interview Andrew Hicks today at Thailand Footprint. Andrew is one of the first authors I recall on the shelves of Asia Books when I came to Thailand over a decade ago, in particular his best selling books, Thai Girl and My Thai Girl and I, have had a long and prosperous shelf life and can still be found at Asia Books and elsewhere today. Andrew was one of the early success stories in self-publishing, long before the Kindle and Create Space were around. We’ll be talking about his various adventures in and out of the publishing world. KC Welcome, Andrew. 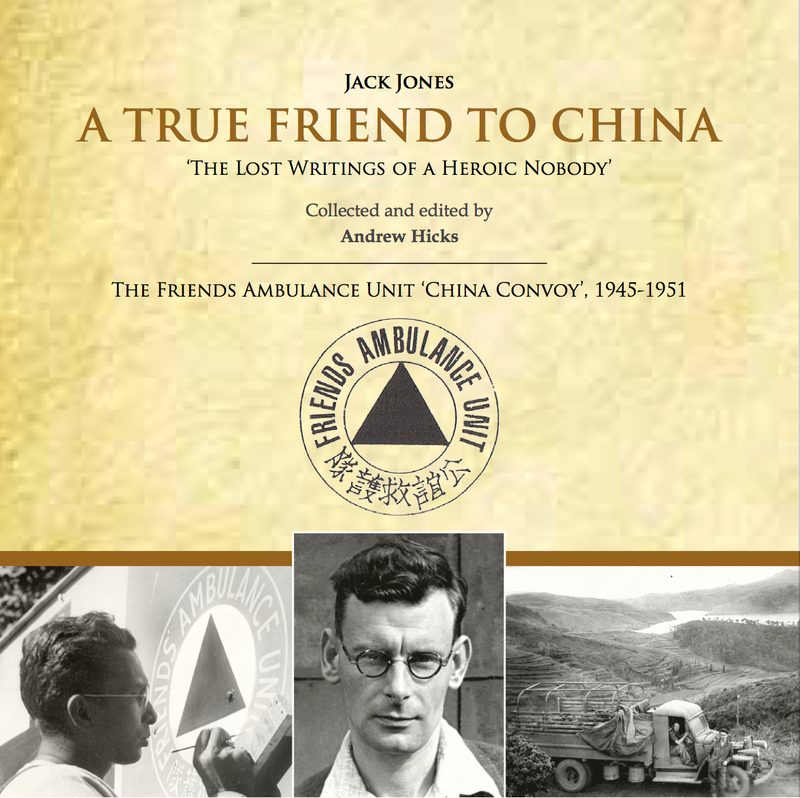 Before we get to your new book, Jack Jones – A True Friend to China: The Lost Writings of a Heroic Nobody, tell us about your publishing history, the other books you have authored and what you see as the pros and cons of self publishing. You were a lawyer in another life, so make the case for each side, not just one, if you can – traditional publishing vs self-publishing. There seems to be no shortage of opinions on the subject. AH: I don’t suppose you’ll want to hear about my worst-selling book, The Nigerian Law of Hire Purchase, nor about Company Law by Hicks and Goo! (Google them if you don’t believe they exist!) But yes, I’d written loads of legal stuff and then at last Thai Girl, a novel which has a much better story line than the law books. In 2004 I self-published Thai Girl in Bangkok. Then in 2006 Monsoon Books of Singapore republished it for world markets and with many reprints and many tens of thousands sold, it’s done pretty well, so I’m not complaining. 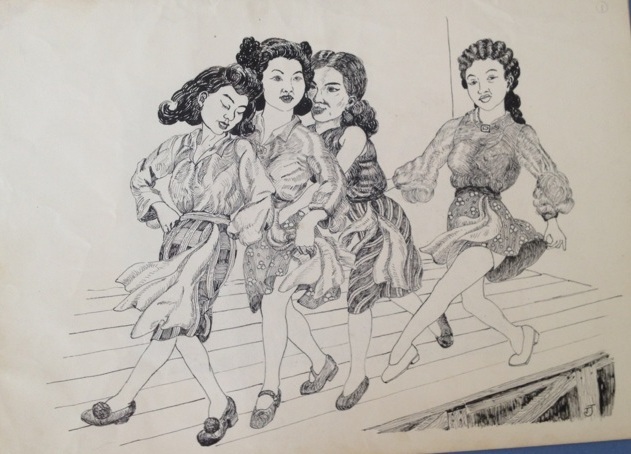 I try to be versatile as a writer so my next effort was My Thai Girl and I, my story of meeting that Thai lady I couldn’t escape from and of settling down with her and her family in a village in Isaan. It’s positive and it’s funny and I get lots of messages from men who tell me it encapsulates for them so many of their own experiences; it’s a mirror for the experienced and a useful primer for the uninitiated perhaps. This again was self-published and together with Thai Girl it is still on the shelves at Asia Books in Thailand and selling steadily after so many years. Both books are also available with Monsoon Books as ebooks, so that’s a new and important dimension. When I was looking to have Thai Girl published in 2003, Asia Books had recently been publishing a series of novels but had just called a halt to its publishing arm as the market was slow. Self-publishing then became the only game in Bangkok and it has since done very well for me and my two books. Apart from anything else, there is no publisher to take a cut of the profits; publisher’s royalties are usually just 10% which is a poor return unless sales are huge. For me however, distributing through Asia Books has given me a fifty fifty split so this has been much more profitable. But you must never forget that having a book printed does not amount to ‘publishing’ it. In Bangkok book production can be cheap and efficient but then you have to take delivery of the print run and store them somewhere. Then you have to distribute and sell them and that’s the difficult bit. Having said that, the up-front cost of a print run and storage can now be avoided by print-on-demand publishing and ebooks, both of which can achieve a world-wide market with online sales; though again this requires some expertise and a flair for self-promotion. Fifty shades of failure are the norm and it’s extremely rare that a book really takes off in a big way. There are millions of orphan books out there and many disappointed aspiring authors. 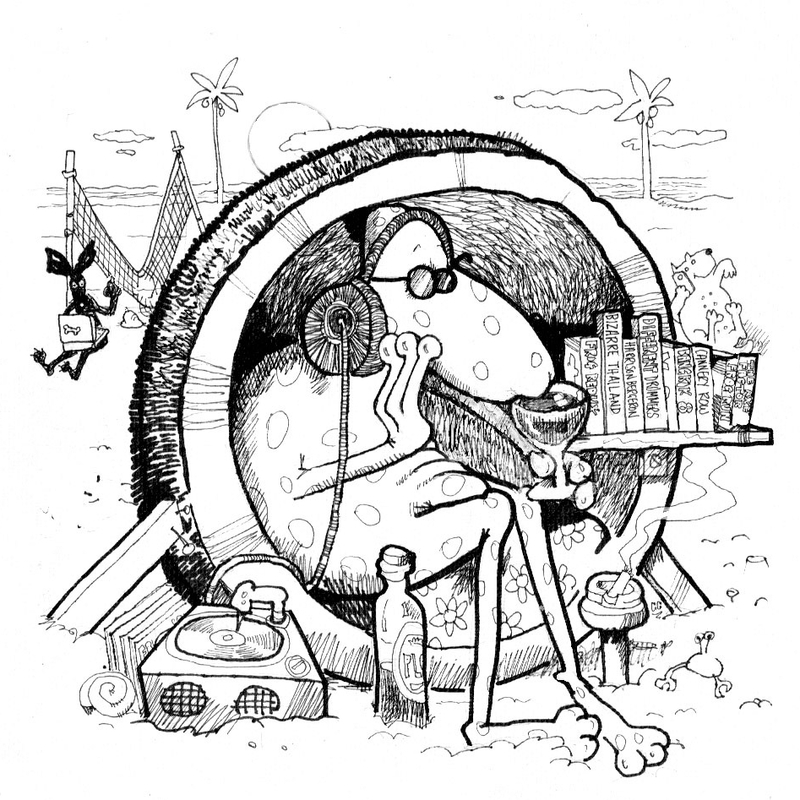 So… the choice between having a commercial publisher and self-publishing your book? Well, in reality there ain’t no choice. We’d all follow John Burdett and enjoy all the selling power of a big publisher if we could, but even top novelist, Stephen Leather couldn’t get his long-time publisher to take Private Dancer, his great Bangkok novel. It was my pleasure to take Leather to meet my own designer and printer and to show him the way through the maze of self-publishing and to get his book on the shelves that way. KC: Who was Jack Jones? I’m somewhat familiar with him, but many of our readers probably are not. AH: Jack Jones came out of China in 1951 and settled in Bangkok working for Unicef. 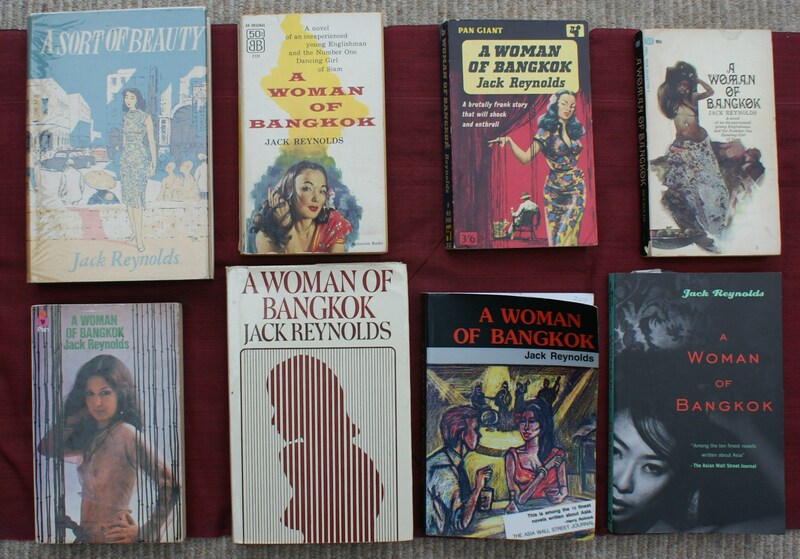 As ‘Jack Reynolds’ he then in 1956 published his seminal novel, A Woman of Bangkok, the story of a naïve Englishman who falls for a Bangkok dance hostess or bar girl as we’d say today. The book is credited with being the origin of the Bangkok novel and many say it has not yet been bettered. Published in New York and London, and banned in Australia, it became a world-wide best seller. Rarely out of print since then, it is currently available from Monsoon Books, which is exceptional longevity for any book. The writing is of high quality which was what drew me into researching this mysterious author ‘Jack Reynolds’ and from which my new book A True Friend to China has emerged. Recently published in Shanghai, you can learn more about it on www.fauchinaconvoy.blogspot.com. KC: Why choose this subject and this man for what must have been, to use your phrase, a 1/2 ton of work to publish? AH: Honestly, I didn’t choose to write about Jack Jones/Reynolds and his adventures in China… it just happened and I got sucked in almost reluctantly. Several book reviews had compared my novel to his and I was curious who this accomplished writer might be who had produced a bestselling Bangkok story and then totally disappeared. The Bangkok Post published my letter asking if anyone remembered Jack and several of his friends contacted me. Steve Van Beek met me and told me that Jack had run the transport unit for the Friends Ambulance Unit which did medical relief work in China in the nineteen forties. I was intrigued because an elderly friend of mine had been with the FAU and when I traced his son I discovered that he and Jack had met in China and become life-long friends. The son produced for me a treasure trove of stuff about Jack including his 1937 book of poems… self-published of course. The die was cast, I was hooked, each new discovery about Jack driving me on like a drug. I met members of his family in Bangkok and discovered a little more. I searched the archives of the Bangkok Post and found numerous articles by Jack. I sensed that as an obsessive writer he must have produced something while in China so I went to the FAU’s Quaker archives in London and found a treasure trove of stuff by Jack. And more was to be found in Quaker archives in Philadelphia. 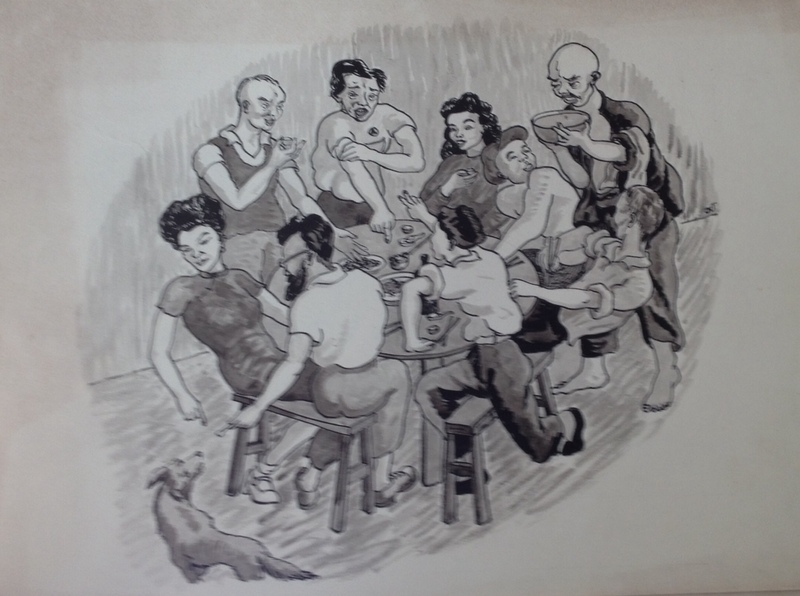 In China throughout the forties the FAU had a large staff scattered across China and they held them together by mailing out a weekly newsletter to which Jack was a regular contributor. He told stories of running worn out and overloaded trucks carrying medical supplies over impossible roads in all weathers. He described how he drove his truck off the side of a mountain into a ravine, all his passengers surviving almost unscathed, how he was fired at by bandits, knocked to the ground and beaten with the flat of a sword, how he came near to death with an attack of typhus, a disease that killed two of his colleagues, and how he was constantly falling hopelessly in love with the Chinese women around him. Jack never tires of writing about women. In my view, these newly discovered articles are some of his best writings and my new book is an edited compilation of these. I can happily say that it’s a wonderful book as most of it is by Jack and not me and of the 500 magical photos of China I took only three. KC: Andrew, I have learned you’ve just had a discovery of art works by Jack Reynolds that have reached you from Seattle after a sixty five year slumber. Here are two examples. What is the back story to this discovery? AH: Jack had a repressed admiration for the wife of one of his FAU drivers who he called Mrs CMS. She was a multi-talented performer in the Chinese equivalent of music hall and circus acts and Jack penned a long article about how he and his friends went one day almost seventy years ago to see her perform. She was magnificent, acting, dancing and riding a monocycle. This article reproduced in my book runs to about fourteen pages for which I had no photo illustrations, so all I could do was present a sea of unrelieved text. Then a few months after publication I received an email from a man in Seattle whose father had worked with Jack in China. In the bottom drawer his late father had left an envelope and in it was a collection of eight fine drawings that Jack had done to illustrate this very article. He sent me scans of them, for me a Holy Grail moment, confirming Jack as a talented artist as well as a wordsmith. I only wish I’d had the pictures a few months earlier. The reason this old FAU friend had Jack’s article and pictures in the USA was that back in the fifties after leaving China he was trying hard to sell Jack’s written work to publishers for him. In particular he was offering publishers the manuscript of A Woman of Bangkok. After 18 rejections, at last it was accepted for publication by Ballantine Books of New York and became a world wide best seller. But for his efforts we would never have heard of ‘Jack Reynolds’ nor read his great Bangkok novel. This story and the discovery of the pictures is real literary archaeology which I have found very exciting to unearth. ​KC:​ What is next for Andrew Hicks? AH: Maybe the Booker or the Nobel Prize for Literature! And failing that I hope that the folks passing through Thailand will continue to enjoy my Thai Girl books. The internet is a great communicator and over the years I’ve had literally hundreds of messages giving me feedback on the books, always positive of course! This has been hugely rewarding but it’s also taught me that objective judgments of books don’t mean much. What really matters is what each individual reader makes of the book. What they understand and enjoy about it varies enormously and often bears no relationship whatsoever to what I thought I was writing about. The reader’s view of what the book says is of course equally valid. KC: Thanks, Andrew. I enjoyed this interview and learning about Jack and you very much.